This entry is part 1 of 1 in the series Quebec Maritime. If you’re a regular CheeseWeb reader, you’ve probably noticed we’ve been missing in action since last spring. (Luckily our excellent contributors Adi and Monika have been holding down the fort!) If you follow us on Facebook, you’ll know we are now back in New Brunswick after an incredible three months in Quebec Maritime. This trip was unlike any other we’ve taken, and today I want to share a behind the scenes look at how we spent our summer. 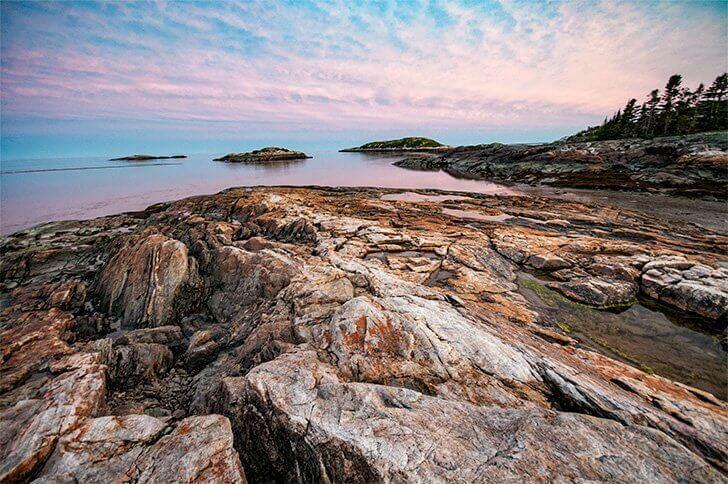 Finding tranquillity and re-discovering myself in Quebec Maritime. There have been so many changes in our lives over the past two and a half years. Some days, it feels like decades have blown past. In fact, it was only May of 2015 when we said goodbye to our life and friends in Brussels to begin our full-time motorhome journey in Europe. It was only that August we learned of my father’s terminal cancer and made the decision to return to Canada to be with him and my mom. One impossibly short year later I said goodbye to my Dad for good. Sitting here in September of 2017, it still stuns me how life can turn on a dime. It also reaffirms the importance of creating the life we want to live and living it to the fullest. For us, that best life always comes back to family and travel. It was time for Yeti to stretch his wheels discovering Canada. We knew we wanted to be close by in case my Mom or Grandparents needed us and with two 17-year-old cats living with us, returning to Europe was out of the question. Besides, it felt like high time we explored more of our own country. As much as we both (still) want to make the epic drive from coast to coast, I didn’t want to stray more than a few days drive from home. With a country as big as Canada, that limited our options pretty quickly. We had travelled extensively in the Maritimes but other than a few quick trips to Quebec City and Montreal, Quebec was a big French question mark – and an intriguing one at that. So we got out the maps. Taking time to slow down and enjoy the sunsets of Quebec Maritime. Before we settled on a destination, we had some lengthy discussions about how we wanted to travel. 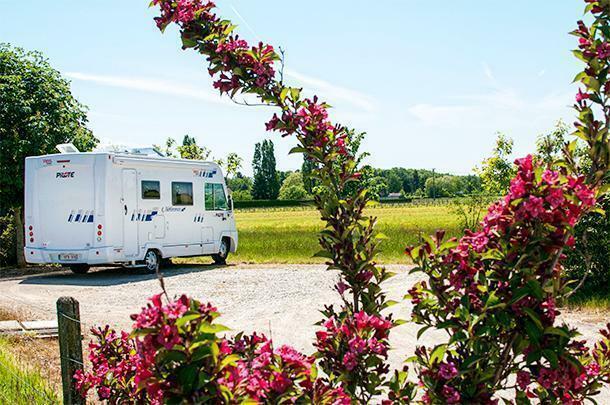 We talk a lot of talk about slow travel, but the truth of the matter was our motorhome travels in Europe were never as slow as we would have liked. Balancing work and travel is never easy – especially when travel is your job. I can’t even remember the last trip we took where I could just switch off and not worry about how I was going to write about it or if I took enough photos. Throughout our three months in France we were on a schedule – a tight one. In fact, we only had one week where we didn’t have to be anywhere – and by that point, we were too burnt out to enjoy it. While we were writing about taking time to slow down and spend more time in destinations, we weren’t able to do it ourselves. While we wouldn’t trade our travels in France for anything, we didn’t have much time to stop and smell the flowers. And of course, those amazing experiences didn’t come for free. Every hotel, restaurant, activity, and destination needed to be photographed, mentioned on social media, and written about on Cheeseweb. In fact, it took me well into 2016 before I completed everything. Deep down, what I most hoped for was time to heal and process the events of the past two years, with no strings attached. I needed to switch off. In a lot of ways, I had lost sight of CheeseWeb. My passion for writing was burning out, and I wasn’t sure how much I had left to give. For that matter, if we were no longer in Europe, did the website lose its meaning? I needed to stop being ‘The Big Cheese’ for a while and figure out how to be Alison, the grieving daughter, slow traveller, full-time motorhomer, wife and cat mom. I hoped in doing so I’d rediscover the passionate writer and photographer too. Rural Quebec was so close but completely uncharted territory for us. 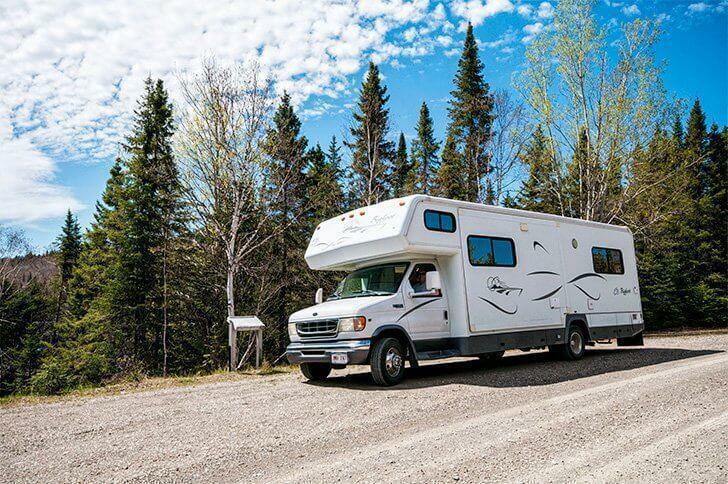 When you only have a week to travel, your options are limited, especially when you’re driving a big, slow, RV. Planning for three months of travel, however, the options suddenly become overwhelming. We really could go anywhere. We knew we wanted to visit the Gaspe region. My parents had visited several times in the past and loved their experience there. The small towns and scenic drives seemed right up our alley. As this year was Canada’s 150th anniversary, the National Parks would have free admission. We wanted to take advantage of this by visiting as many as possible. We wanted to visit the Saguenay area to see the Beluga whales. Growing up on the Atlantic coast, we had both seen plenty of whales, but never Belugas. 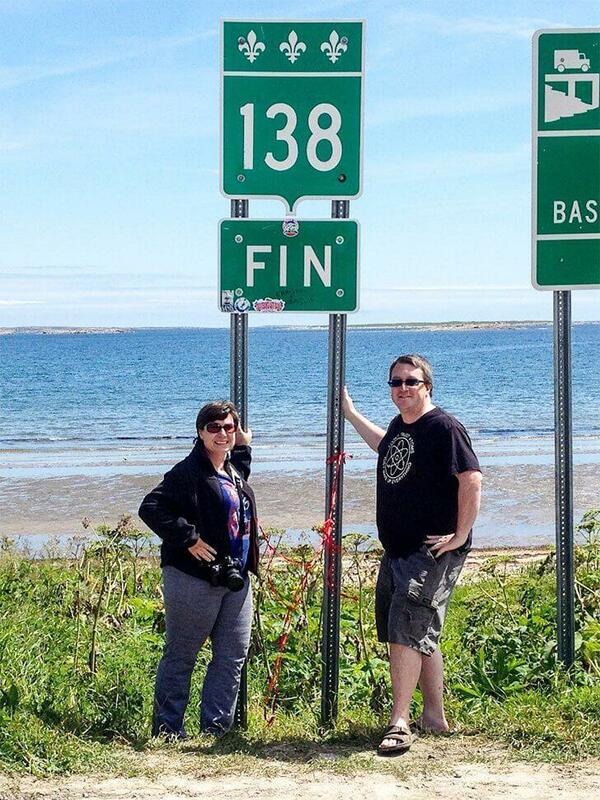 Because the Gaspe is just north of New Brunswick, it seemed like a natural starting point. 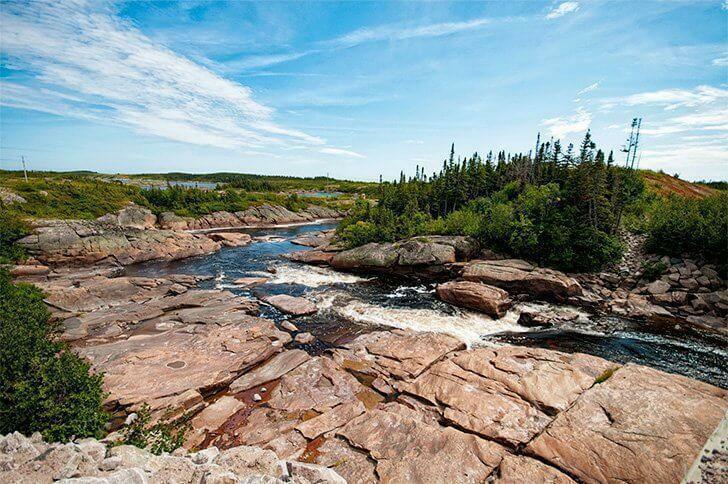 It would also provide us with the opportunity to visit two more of New Brunswick’s provincial parks on our way. Mt. Carleton Provincial Park in Northern New Brunswick seemed like the perfect starting point to our journey. To set our start date I looked up when the first provincial park would open. On May 14th Mt. Carleton Provincial Park in Restigouche County, New Brunswick would open its gates – I booked us in for four nights. From there it made sense for us to go to Sugarloaf Provincial Park in Campbellton, just across the river from Quebec. I booked four more nights. Forillon National Park at the tip of the Gaspe peninsula was on our ‘must-see’ list, so I booked four nights just after they opened in early June. 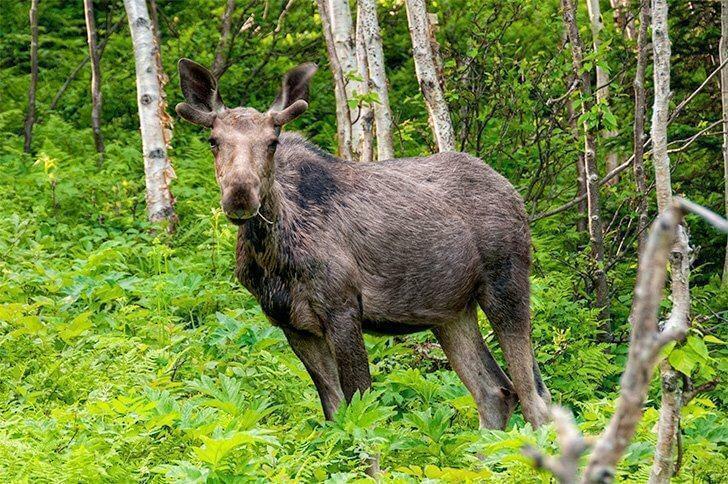 We would take our time exploring the Gaspe until the middle of June. Then we would gradually make our way across the St. Lawrence River to Saguenay, sometime later in the summer. Our first month was sorted. But then what? Then came the beauty of the trip – we didn’t NEED to plan it all in advance. The thought was so liberating it made me a bit giddy. Also terrified. It wasn’t until well into the Gaspe portion of our trip we decided we’d spend the entire summer in Quebec Maritime. Up until that point, there had been a good deal of… debate. Whenever we discuss travel the same thing happens; Andrew (the hot-blooded) wants to head north, while I (the terminally frigid) dream of southern climes. Andrew usually lets me win. While I was writing up a checklist of all of the (free this year) National Historic Sites we could cover in the southern part of the province, Andrew was looking longingly at one thing and one thing only. A road. Specifically the end of it. Andrew has this thing about driving in loops. I often tease him that he can never go and come back the same way. Conversely, I have never seen a dead end road that didn’t call to him – and Quebec Maritime has a big one. Along the northern coast of the St. Lawrence River there are a lot of small towns and a whole lot of vast, wilderness. From the city of Baie Comeau to the village of Natashquan there is one paved road spanning 600 kilometres. At the end of the pavement, you can continue another 48km to the village of Kegashka. It’s the last village you can visit without boarding a boat. Andrew couldn’t resist its siren call. The end of the road was calling and we decided to answer. First, Andrew is the most easy-going traveller ever. I almost always do all the planning, and he is happy to come along for the ride. If he wanted to drive to the end of the road that much, who was I to stand in his way. But it also felt right for another reason – it felt like something my Dad would have loved. I spent countless childhood Sundays driving the back roads (and the waaay back roads) of New Brunswick with Dad gleefully saying ‘I wonder where this goes’ as he’d aim the car down another dirt track. Driving to the end of the road just to see what was there was totally something my Dad would do – and so would we, in his honour. 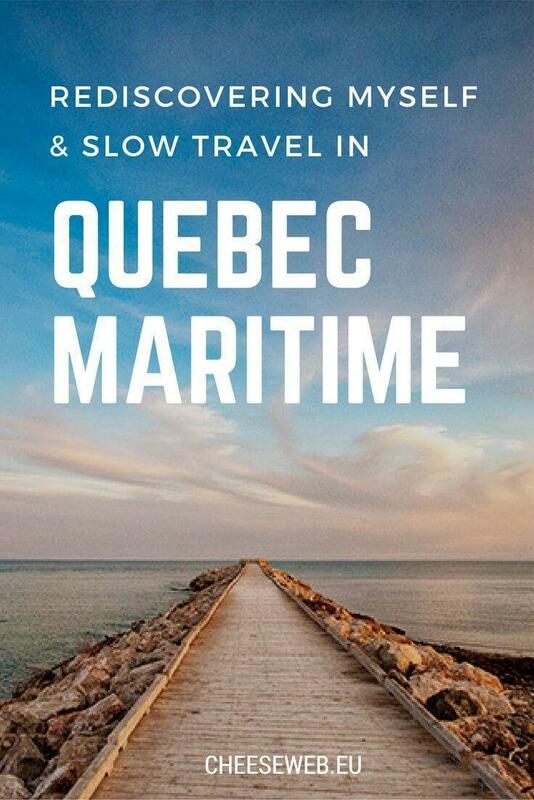 If you’re not from Canada (and maybe even if you are) you may be wondering exactly what and where is Quebec Maritime? To be honest, I didn’t know before we began this trip either. Gaspésie – The Gaspe Peninsula is north of New Brunswick and has the St. Lawrence River and Gulf of St. Lawrence to the North and East and the Baie des Chaleurs (Bay of warmth) to the south. 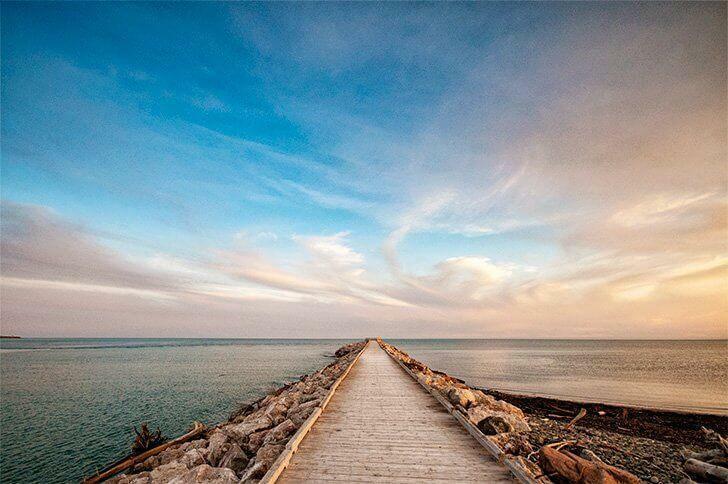 Bas-Saint-Laurent – As the name suggests, this region is at the lower neck of the St. Lawrence River. It also borders NB to the south and the river to the north. Côte-Nord – The north coast is the largest region but has a population density of 0.4 people per square km. The vast majority of those people live right along the coast, meaning there is a lot of wilderness. Over the coming months, I’ll be writing about our favourite places and activities throughout the regions. The one thing I will say now is they almost all involved nature in some way. This region is a nature-lover’s paradise. 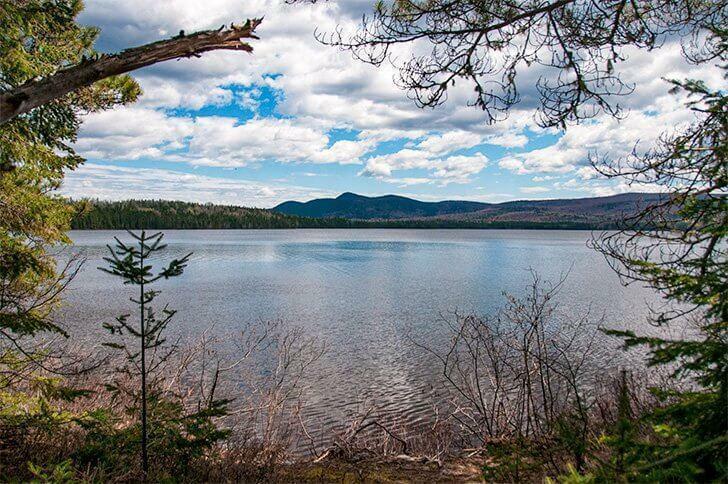 Whether you enjoy hiking, boating, biking, wildlife spotting, watersports, foraging, or even more adventurous pursuits there is something here for you. We also discovered a rich and varied history, vibrant cultures, lots of stunning scenery and (it is us after all) some great local food and drink. 6881 twisting, back-tracking kilometres through Quebec Maritime. Obviously, we did all of our travels this summer in Yeti, our 30 foot Bigfoot motorhome. We didn’t tow a car. We didn’t take bikes or a boat (although we did wish we had a canoe with us!) so everywhere we went, we walked or took Yeti. We had our fair share of nights in boring parking lots – but being able to work with views like this made it worth it. We (sadly) are not retired or independently wealthy. And while it may look like all fun and games, we do work hard. Despite the fact we were not working with tourism boards in Quebec we were still working throughout our travels. In fact, unless we had a full-day excursion we were online and working just about every day, at least for part of the day. 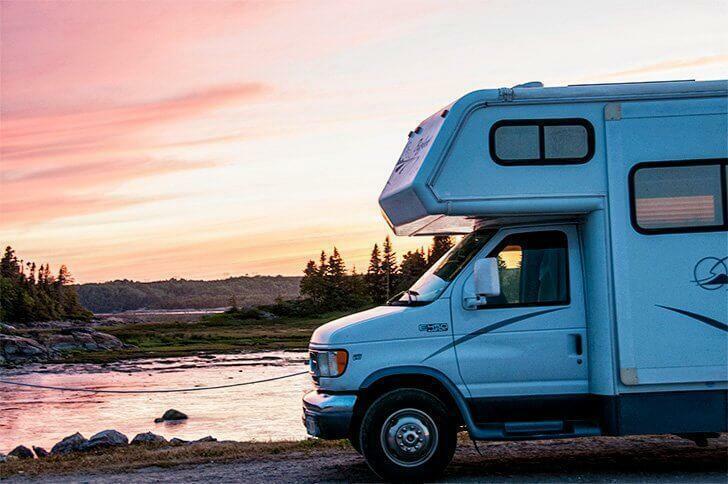 We’ve learned (the hard way) we need to do three things to make full-time motorhome living successful: work, drive, and sightsee. We can only do one or two of these things in one day, otherwise we burn out quickly. Unless we were boondocking (parking overnight somewhere for free, like a Walmart) whenever possible we stayed three or more nights in one place to give us time to work and sightsee without having to worry about driving. The balance wasn’t always perfect but we did ok.
We relied on available wifi a bit and mobile internet a lot to get online. [Again, Andrew will write a detailed post about this at a later date.] When we had big projects or deadlines, we stayed put. When our work was more flexible we moved on. 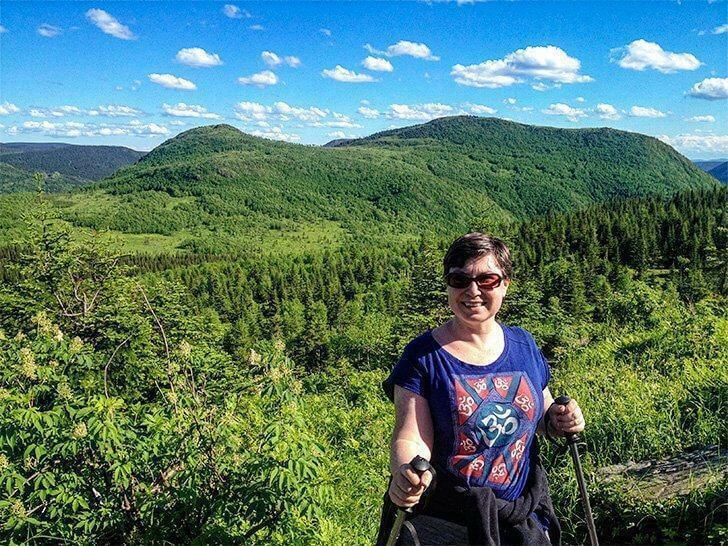 I tackled a few mountains in Quebec Maritime – both physically and emotionally. Heck yes. 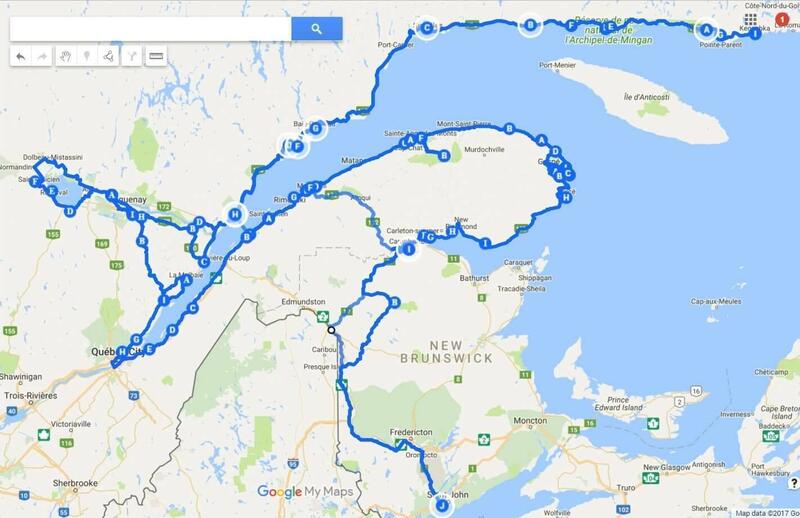 We’re already planning next summer’s adventure and it will take us through some of Quebec Maritime again. While the Gaspe is pretty well-known within Canada, we saw few other non-Quebecois travellers in the other regions; especially Cote-Nord. This is truly a pity as it’s a uniquely beautiful corner of our country that has so much to offer travellers – especially those of us who love off-the-beaten-path destinations. 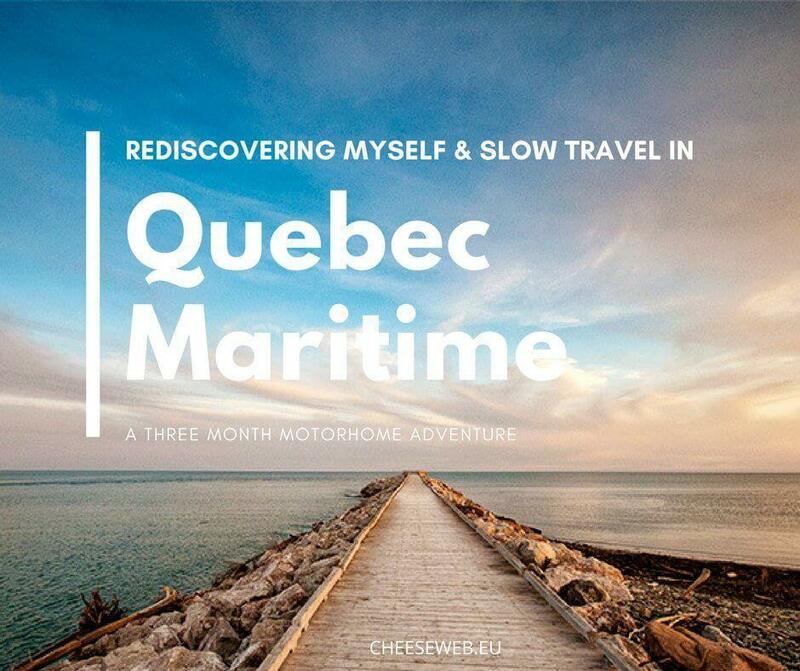 In many ways, our three months in Quebec Maritime achieved what we set out to do – we travelled on our own terms, didn’t plan in advance (much), and allowed ourselves the freedom to do and see what we wanted, when we wanted. It wasn’t always easy. I struggled with some health and emotional issues; side-effects of bottling up my grief over the previous months. I cried (often) when I thought of how much my father would have enjoyed this trip. I also (finally) let myself grieve a bit for our European life which I still miss, despite my excitement of rediscovering Canada. I gave myself time and emotional space to come to terms with the changes in our life. I’m a work in progress, but I am progressing. I’m ready to write again; I’m ready to share again; and I’m ready to see what the next evolution of CheeseWeb is and put my ‘Big Cheese’ hat back on. Over the next few months, we’ll be sharing stories from our summer in Quebec and more off-the-beaten-path destinations here in New Brunswick, alternating with more from Europe from our wonderful contributors. As always, wherever we are in the world, we’re honoured to have you along for the ride.